People are drawn to, and influenced by, leaders who communicate authentically, connect with people, and have immediate impact. So how do you become one? 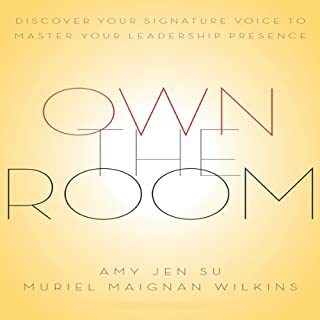 How can you learn to “own the room?” This book will help you develop your leadership presence. 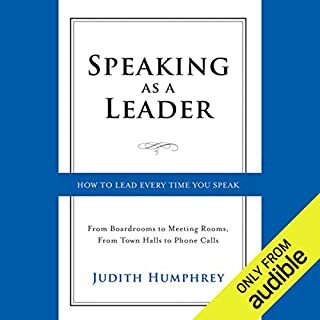 The authors offer a simple and compelling framework as well as practices for developing your "signature voice." 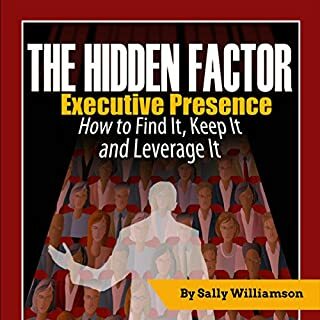 Wherever you sit in an organization, you can develop presence if you are able to do two things well: demonstrate your authentic value and distinction; and connect to others in a positive way. Do you exude confidence and credibility? Can you command a room? 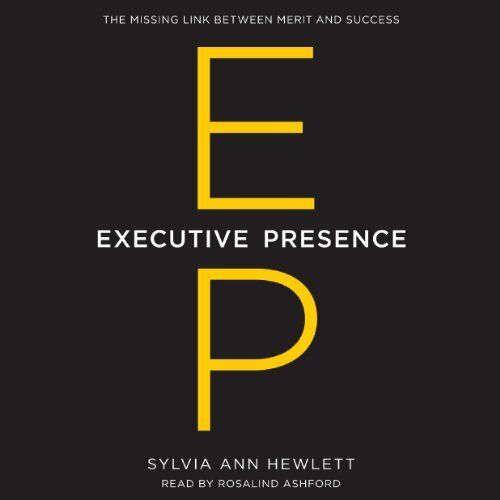 Sylvia Ann Hewlett, one of the world's most influential business thinkers, cracks the code of Executive Presence (EP) for men and women intent on winning the next plum assignment and doing something extraordinary with their lives. You might have the qualifications to be considered for your dream job, but you won't get far unless you can signal that you're "leadership material" and that you "have what it takes". Professionals are judged on presence as well as on performance. Using a wealth of hard data - including a new nationwide survey and dozens of focus groups - Hewlett reveals EP to be a dynamic mix of three things: How you act (gravitas), how you speak (communication), and how you look (appearance). She also draws on in-depth interviews with a wide selection of admired leaders to reveal how they embody and deploy key elements of EP. This book is immensely practical. Hewlett teases out tactics that can help you raise your game and close the gap between merit and success. She offers the unvarnished advice you won't get from supportive friends and tackles head-on such touchy subjects as too-tight clothing and too-shrill voices. She shows how the standards for EP vary for men, women, multicultural, and LGBT employees, and she shares how to get meaningful feedback from politically correct bosses intent on avoiding the real issues. The good news is that EP is eminently teachable. You can learn how to "show teeth" while remaining likable, and you can teach yourself how to dress appropriately while staying true to yourself. You don't have to be born with the voice of James Earl Jones or the looks of Angelina Jolie to hurdle the EP bar. With hard facts and vivid examples, Hewlett shows you how to ace EP and fully realize your unique potential - no matter who you are, no matter where you work. 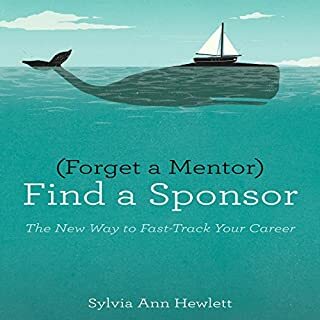 Although this book did provide some helpful tips, I found that it overwhelmingly discussed the struggles that hinder the executive presence of women and minorities in the workplace. This topic may be helpful to some, however, it is not an issue that I, a Mexican-American woman, struggle with and therefore, most of the material was not relevant to me. I also had a bit of an issue with the subtle hintings of the author's left political leanings and the slight snubs of anything or anyone mentioned in her book that leaned in the opposite direction. I don't work in the corporate world, but have. I try to be fair in my dealings with minorities and women. I grew up with 8 sisters and believe in their abilities and strengths however I have made mistakes. This book opened my eyes, gave me some strategies to think about and hopefully I can start to make a difference with making the world a little bit fairer and opening up business to the benefits of women, minorities and being a true leader. Would you try another book from Sylvia Ann Hewlett and/or Rosalind Ashford? The information itself was not bad; however, it took hours of time to get to the few relevant and helpful points. There seemed to be a slow, gradual build to information that is very common sense. If you feel you are completely unaware from an interpersonal standpoint - might make good reason. For everyone else - get a copy of a one page summary. Also a bit pompous and overly complex vocabulary for no apparent reason other than to show distance between author and average reader. Would you ever listen to anything by Sylvia Ann Hewlett again? Speaking Truth To The Rest Of Us! As a African Americans man in business, I found this book to be relevant information for me or anyone seriously contemplating tangible steps they can take in thought and action to progressively improve their station in life. 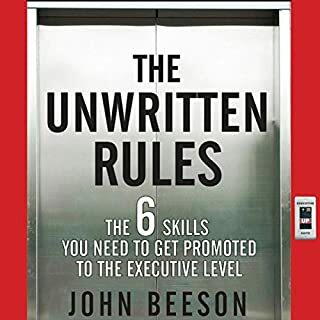 The author, in clear descriptive language makes accessible to us all, the challenges we face when arriving in a corporate community from disperse backgrounds and points of view. She lays out before our eyes a clear alternative perspectives that can be adopted, to inform our decision making, and improve or relationships skills with others, while simultaneously positioning ourselves for career advancement. It seems as though no stone is left untund. She safely approaches and brings you through, difficult and sometimes controversial topics. Leaving you with a pleasant feeling of enjoyment and a since of accomplishment. One of my best reads this year. Great tips for women on the dynamics of presence! The way you dress, carry yourself, interject, tone of voice, etc. all play a part in how you are perceived and received in the workplace and in life. You may not want to admit it but the only way to win the game is to play. I feel like she "tried" to include content that applies to everyone but to be honest I felt like I was reading a book on female empowerment. There's nothing wrong with that. I feel like the book explanation is misleading and wish I would have known before buying that I was going to be listening to a book that appealed to women more than men. Some interesting information. Some common sense. The book had some interesting information and research. I actually listened to it twice. The author seemed to want to convince the reader that she was the authority on the subject. It gave the book a strange vibe. But I would recommend it. I would not recommend this book generally. While entertaining, it did not have mind blowing insight for me personally. The author focuses heavily on woman's issues and the differences in executive presence for woman as compared to men. Also the author overly focuses on how to dress, and repeats many of the same points. The rest of the book is enjoyable if you can get past the comments above. This book is heavy on EP for women and minorities. Not recommended for white males, which according to the book already have an EP advantage. From start to finish - this is riveting and essential! Whether you're aiming to be a CEO or simply acquire respect within your social circle! 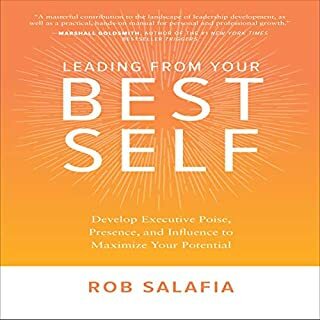 This audio book has some useful insights fit anyone seeking to self-assess and improve their executive presence. As well as general advice and insights, chapters covering the specific challenges faced by women and minorities will be very useful for those cohorts.